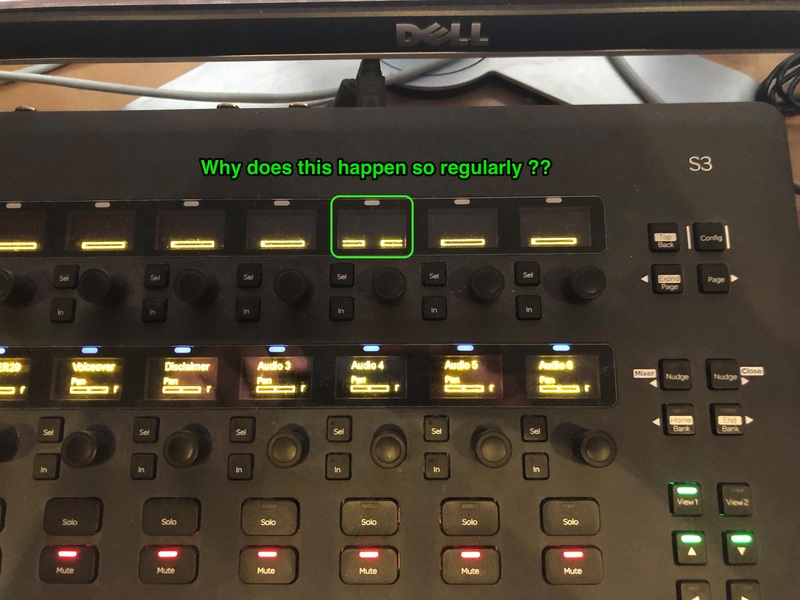 I normally see it after a few hours on either row, normally on the channels towards the left of the console. Ya same here. My send encoder on the top row was doing this for a while, rebooted and it went away. Thankfully haven't seen it since. As others have mentioned.. simply power cycling the S3 corrects it. It does not discriminate as to which display is affected. 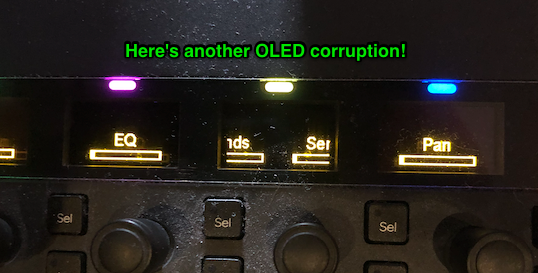 I get the split OLED display fairly regularly. Also, have a dim OLED as well. I just got this for the first time. Super annoying.